The markets ended early on Sunday due to a sporting event. Sales in Quail eggs were brisk and I sold out again – may have to squeeze those quail hens a bit next week ;-). There was little incentive for the stall holders who came to the Markets considering the limited trading time, but many of the regulars did turn up. 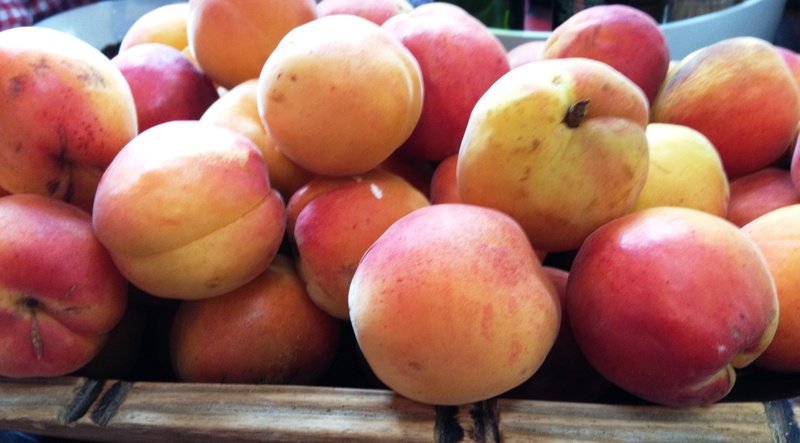 Visitors could still buy great late season apricots, peaches and plums produced by the vendor, fresh potatoes trucked in by the farmer, cheese, soaps, badges and more at great prices. The food vendors were in place and were trading well. One of the regular stalls sell beautiful soaps made in Dunedin. Zingani have a range of skincare products as well. Being a foodie and always keen to eat, I at first thought they were selling something that looked really delicious! Now I have looked at some of their ingredients, Olive oil, Sustainable Organic Columbian Palm oil, Coconut oil, Water, Cocoa Butter, I am still tempted to have a nibble ;-). This local manufacturer is worth a visit at the markets – have a look at their website http://www.zingani.co.nz – and support them!